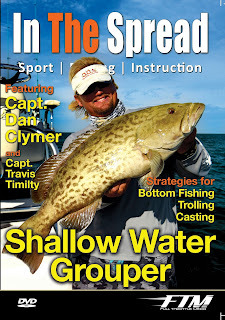 Full Throttle Media drops another sport fishing instructional video for In The Spread. Watch as In The Spread brings you Capt. William Toney sharing his knowledge on fishing rock piles, natural reefs, wrecks, ledges and spring holes for whatever fish are on them. At different times of the year, Gag grouper, grunts, Spanish mackerel, snapper, seabass, flounder, trout and more get on these reefs. Reef fishing is a great way to bend the pole, teach a young person how to fish or just put fish in the box. With this In The Spread video featuring Capt. 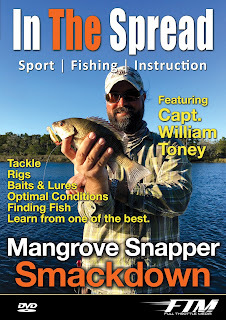 William Toney you will learn concepts that will help you catch more mangrove snapper in the backcountry waterways and rivers along Florida's Gulf coast. Capt. William Toney will share his experience and knowledge on the tackle, rigs, baits and lures he uses to put the smackdown on mangrove snapper. His keen insight on where and how to target the fish, ideal tides, water temperature and conditions will prove productive for you. Mangrove snapper are super fun on light tackle and make excellent table fare. These fish are ideal to target when fishing with children, as they provide lots of action. Take advantage of what William is sharing with In The Spread and catch more fish. Remember this one, from a few years ago? Roddy Hays is In The Spread to explain how to install the Hays Handle. For bigger game fish, the Hays Handle can be super useful. Fishing with Planers means catching more fish. It is really simple. Learn how to use planers to put more fish in the box with this super detailed video from In The Spread. In The Spread is produced by Full Throttle Media. Share the experience, sell the dream...Full Throttle Media! 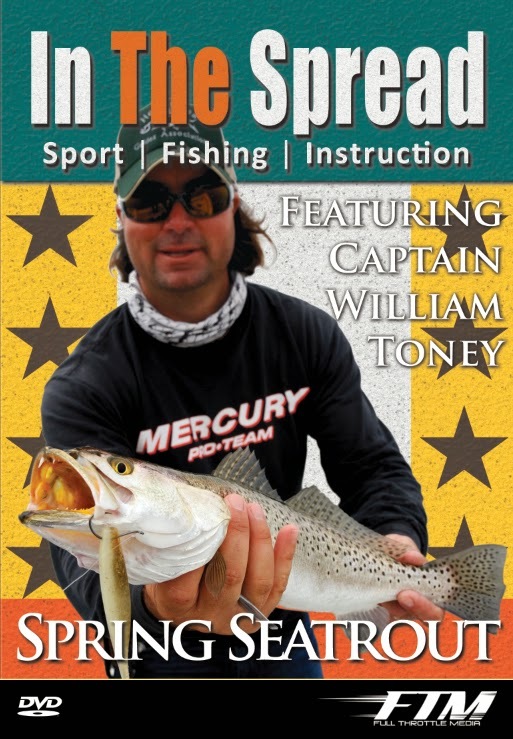 Subscribe to In The Spread today with coupon code 5-BUCKS-OFF and your first month of sport fishing instruction is just $14.95. Watch all the videos anytime, anyplace on any device. Learn sport fishing tactics and techniques from some great fishermen, anglers, captains and guides. Copyright © 2015, Full Throttle Media, Inc.
Full Throttle Media traveled to Homosassa, Florida to film a new shallow water grouper fishing instructional video with Capt. Dan Clymer for In The Spread. What a talented and super knowledgeable fisherman Dan is. 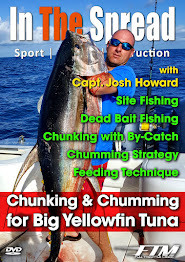 With this latest release, you will learn strategies for targeting grouper by bottom fishing, trolling and casting. The fishery on the west coast of the state is really dynamic. Capt. Dan Clymer and In The Spread have several more videos in the pipeline. 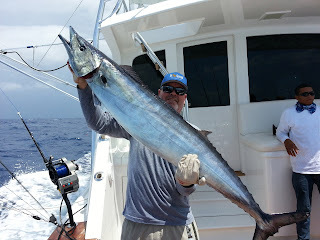 Stay tuned for these and more, as Dan and Capt. 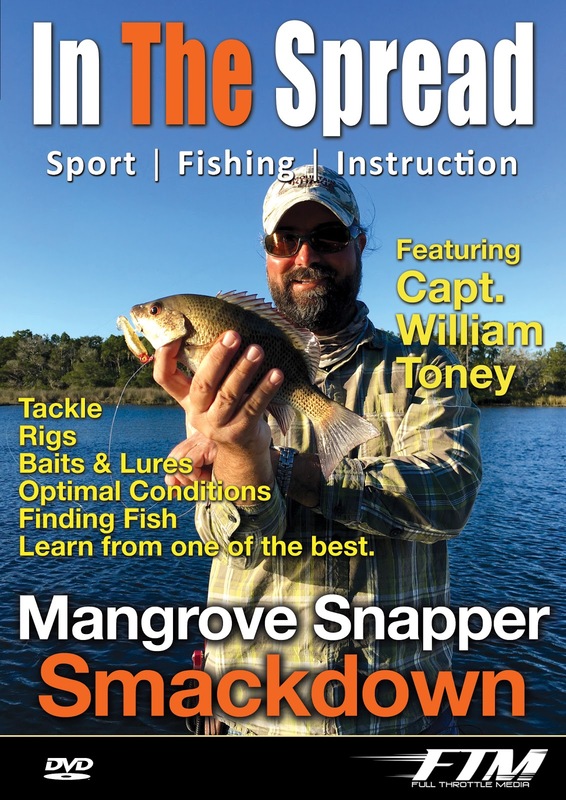 William Toney team up to share even more fishing knowledge. After a year of working with a site that just did not meet expectations, our sister company In The Spread has launched a new website. Thank you. What a better look and feel. The usability and ease of navigation is very nice. Well done to Mole Works for the super fast delivery and execution. 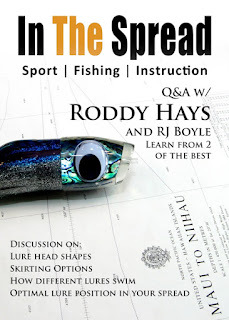 In The Spread specializes in sport fishing instructional videos and works with some of the best fishermen in the world to bring you the very best information. Cobia fishing around wrecks, bottom structure and pilings requires a keen eye, to spot the fish when they pop up to the surface. Typically, cobia are a curious fish, so they will investigate most baits and lures thrown in their vicinity. Knowing a few of the baits and lures that are really productive for cobia will help you catch more fish. In this In The Spread instructional video, Capt. Brian Sanders shares his knowledge and experience with you on how to catch cobia. In The Spread is produced in association with Full Throttle Media. 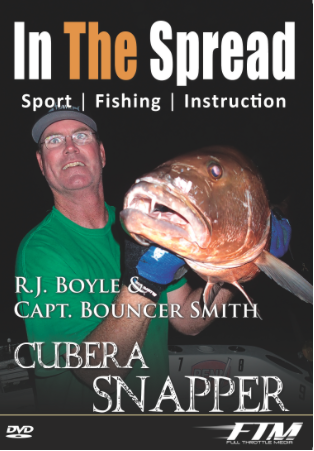 Sport fishing films and videos from In The Spread are produced in association with Full Throttle Media! Learn how to rig wahoo lures for high speed trolling with this super informative video. Click here to watch. 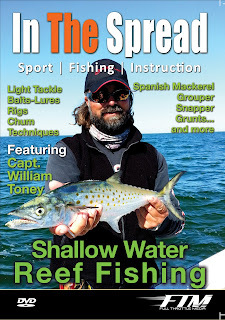 If you would like to watch more sport fishing instructional videos, visit In the Spread. In the Spread (ITS) is a provider of on-demand streaming media focused on connecting fishermen of all skill levels to some of the best minds in sport fishing. We share knowledge by leveraging the experience of some of the world's most respected fishermen. In this In The Spread video, Capt. William Toney, a third generation fishing guide, from Homosassa, Florida shares a deep knowledge of inshore fishing to help you catch that “holy grail” trout you have always dreamed about. Learn the tips, tactics and techniques you need to catch big late winter, early spring sea trout. What are the best conditions for seatrout? What lures really produce fish? Where do you find sea trout and what is the most productive way to fish those spots? It is all here in this In the Spread fishing video. Catch more fish with In the Spread sport fishing instructional videos. In the Spread is a Full Throttle Media production. You know the saying, "if you choose not to decide, you still have made a choice." During a recent project I encountered a company handicapped by indecision at the highest level. I was originally approached to consult on the development of content for this company's online and PR objectives. Basically, what they wanted to do was reposition their brand after a year of failed advertising. And, they wanted this completed yesterday. Part of the strategy involved putting together a team of highly skilled web developers, photographers and film makers to create an innovative and dynamic branding platform. This is right up my alley. I'm thinking this is going to be a cake walk. The most obvious short coming was that they had no imagery of any quality. In order to put out a head turning website and series of ads we needed a series of mind blowing images. No problem! So, I gathered my team and started to drive the process. Now, this company knew full well going into this project that they would need photography. They make the requisite down payment and off we go, right??? Well, we need to schedule the photo shoot. The request is made to approve the plan and relevant expenses. No answer is received. One week goes by, then two, then three and still no response to any of our emails. What the hell is going on? Well, as it turns out, every decision rests with the CEO who is, as I find out, incapable of making a decision without first hiring a consultant. The consultant part is a joke, but you get the point. We are not talking about a huge amount of money for the photography component, so what gives? What happened to the sense of urgency? How and why do companies enter into this type of engagement without thinking through the process as it has been laid out. You want to know why? If you do not know what you are doing and you are taking advise from people that do not know what they are doing, you do not get very far before your weaknesses are exposed. The weakness here is that in a company this large, if there is not one manager, director, V.P., attorney and even the CFO that can authorize payments, nothing gets executed. Wow, bureaucracy at it's finest. What happened you ask. I walked away, refunded the deposit and told the company that I would not allow my name to be associated with their half measures. The entire project hinged on having the right images. They made a choice to proceed with the amateurish photos they had on hand and again failed to execute on their goals. What's worse, not making a decision or making a decision by indecision?